고리형 열쇠고리에 열쇠를 끼우려고 고리 사이를 벌리려다가 손톱이 깨지거나 다친 적이 없습니까? 그런 문제를 해결한 열쇠고리가 있습니다. 중간층에 약간의 돌기가 마련되어 있습니다. 돌기에 의한 지렛대 작용으로 바깥층의 끝이 벌어지게 됩니다. 근데 가격이 8유로 혹은 11달러에 팔리고 있네요. Broken and chipped fingernails definitely aren’t the worst things that can happen to a person. 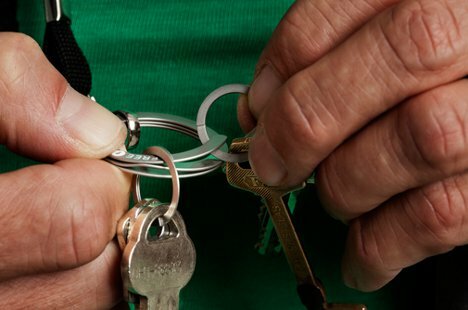 But they’re annoying enough to make us dread having to fumble with key rings. Especially in the middle of winter when we take the car key off of the ring every morning to warm up the car before heading out, we start dreaming of a better design to hold our keys together. 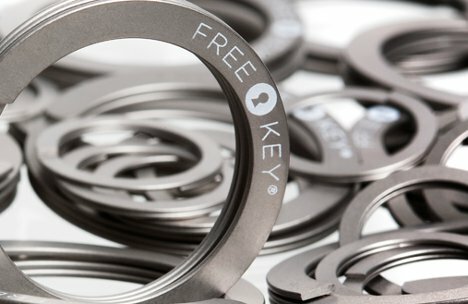 The Free Key is a brilliantly simple upgrade to the standard key ring design. It features three layers of metal, with the middle layer having a small bump. You push the top layer down over this bump to give the metal some leverage. 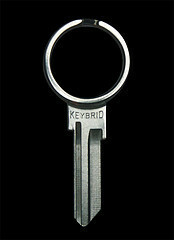 The end of the key ring then lifts up easily, giving you room to slip your key right in there with no need to involve your poor fingernails at all. 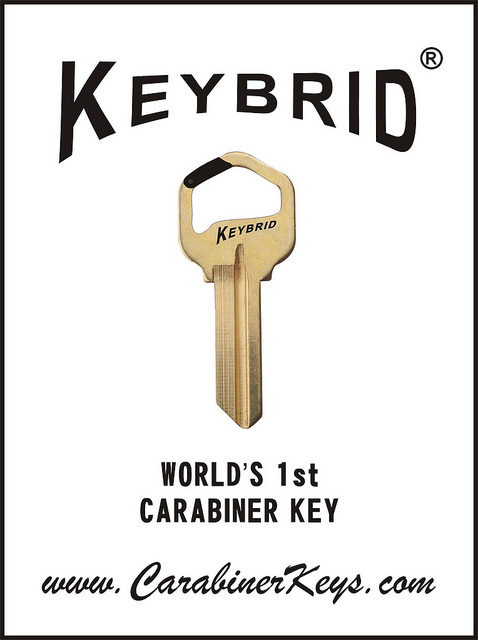 What’s really freaky about Free Key is the fact that it is quite expensive. 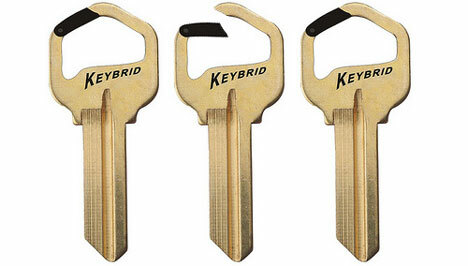 It’s €8 (or around $11 US) for the main key ring and three small removable rings. 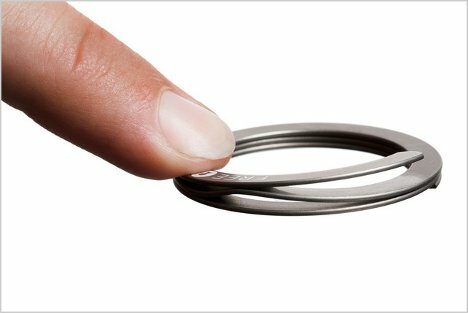 Still, if you find yourself always adding and removing keys to your ring it just might be worth the money to ease that constant frustration.